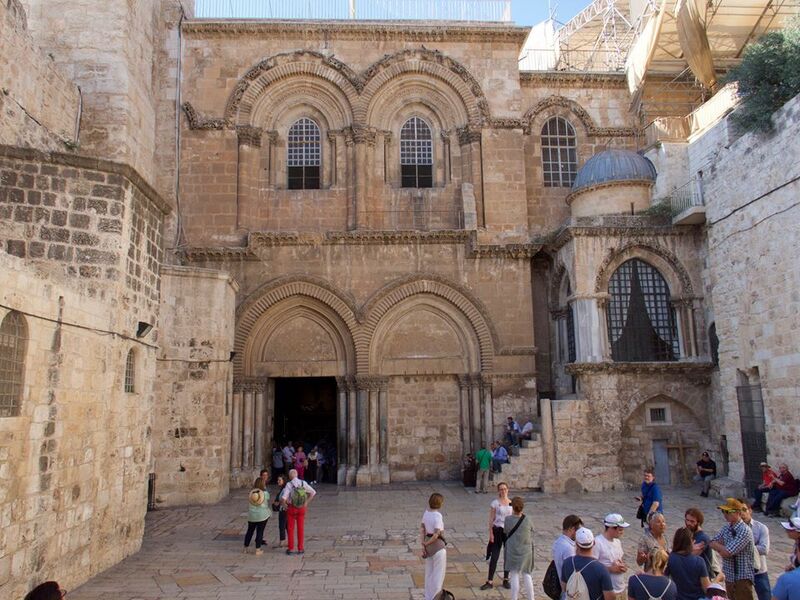 Our Lord's beloved city of Jerusalem in the Holy Land is one of my favourite places to visit. Each time I journey there from the town of Galilee I'm never alone, for I feel the presence of Christ beside me. What our physical eyes see, our spiritual eyes will follow, and I believe tourists and visitors, who encounter this sacred place while seeking His presence, will undoubtedly find it. We will remain a while, praying and meditating on God's Word in His dwelling place. From Mount Zion we shall visit the Church of Saint Peter the first Pope. 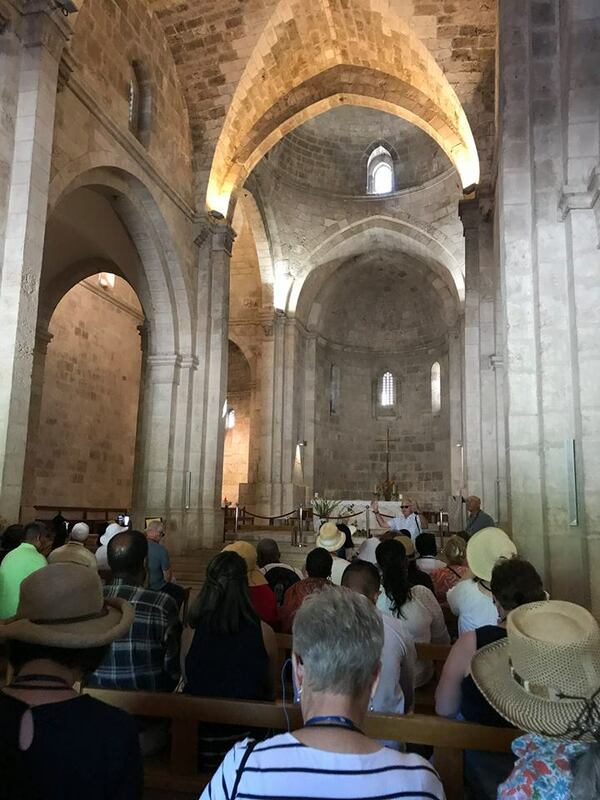 Our journey on foot will continue while meditating on Our Lord’s Passion, to the old city towards Damascus gate, where we will visit the Church of the Fourth Station of the Cross in Via Dolorosa. 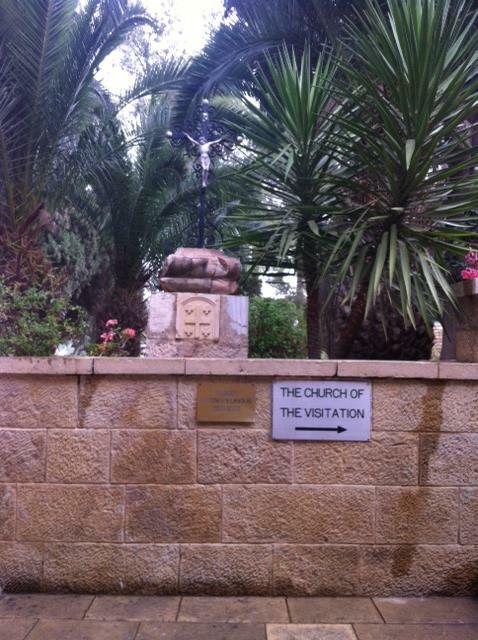 This sacred place is where Jesus met His adored Mother Mary on His way to Calvary. We shall remain here a while, pray and light candles with our intentions. From here we will turn left and walk about 100 meters to the prison where our Lord Jesus Christ was confined. We will see the wall of the prison appearing just as it was 2000 years ago. Our next site will be the place where Jesus was condemned to death before Pontius Pilate. Here we will visit another beautiful church, where we shall pray and meditate on God's word. From here we will walk about 500 meters to Pool of Bethesda. 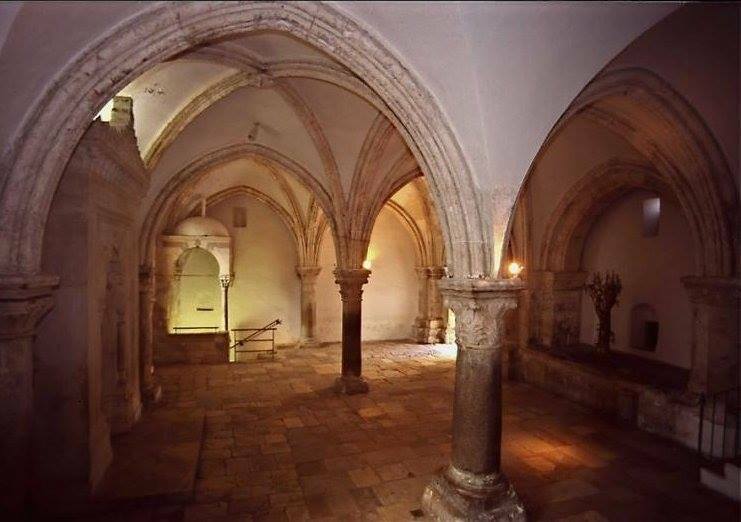 This holy spot is where Jesus performed a miracle and cured the crippled man. 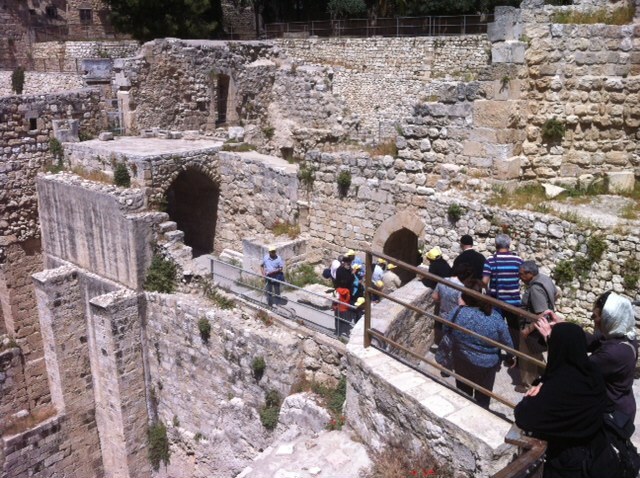 This place is remarkable and known to look the same as 2000 years ago; since the time of Jesus. Located also in Bethesda is the home of St. Anne, the mother of Mary along with a beautiful church where we shall remain for a while to pray and light candles. It will now be time to break for lunch. After we will have fed our souls with Christ's spiritual food, we will feed our bodies with Jerusalem's earthly food. The varieties and selections of delicious Israeli cuisine are endless. From classic meat dishes like shawarma, to vegetarian dishes like falafel, humus and tabbouleh to Jesus' favourite 'fish' and other seafood dishes. Whatever type of food you desire you will find in the old city, Thanks be to God. Street food prices range from $2-$7, while restaurant prices range from $20-30. It’s valuable to know that prices in the western part of the city are more expensive than in the eastern part. 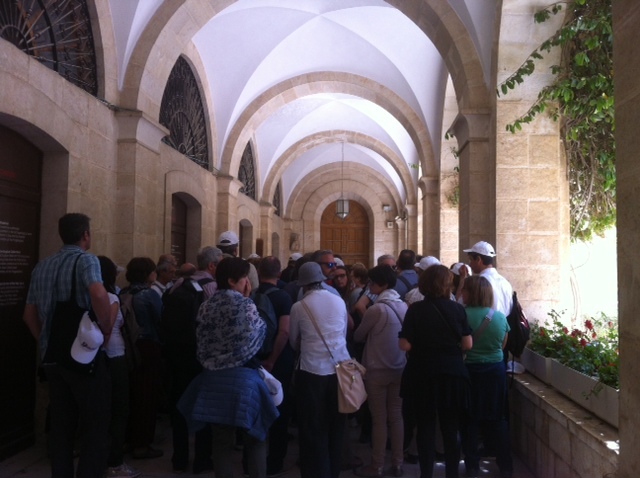 After our meal we will get back on our spiritual path to our next destination, the Holy Sepulchre Church. From there we shall walk through the Jaffa gate in the old city, until we arrive at Golgotha. 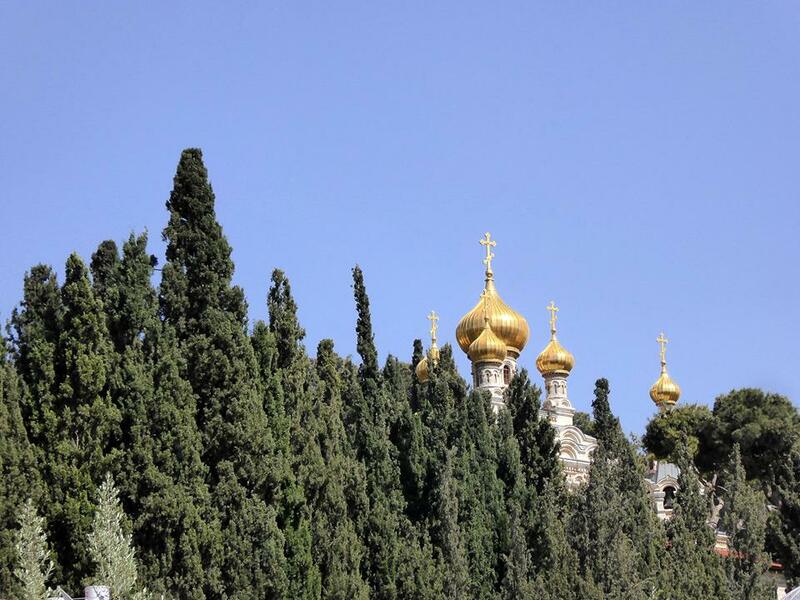 As we wait in line with anticipation, we will arrive at the tomb of Christ, the most holy and sanctified place on earth for Christians everywhere. 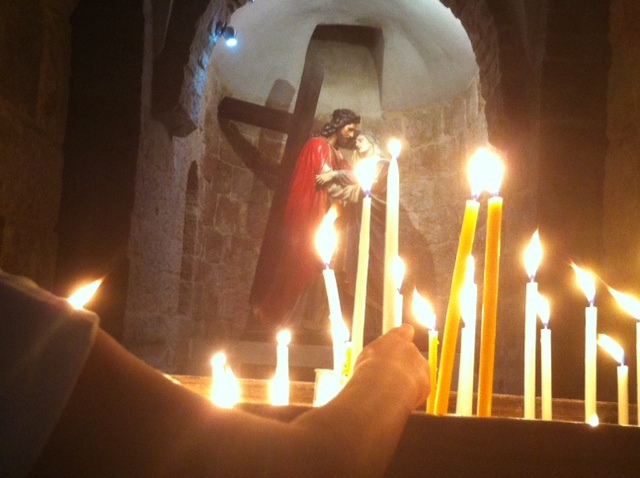 At the Holy Sepulchre Church many take the opportunity to request a priest to pray for them and their intentions. The power of the Holy Spirit of God will leave you in awe of this miraculous place, and you will be in no rush to leave. The church remains open until 9 pm. We now end the Day 1 of the tour, as we return to our hotel for the remainder of the day and prepare for next day’s tour in Jerusalem. 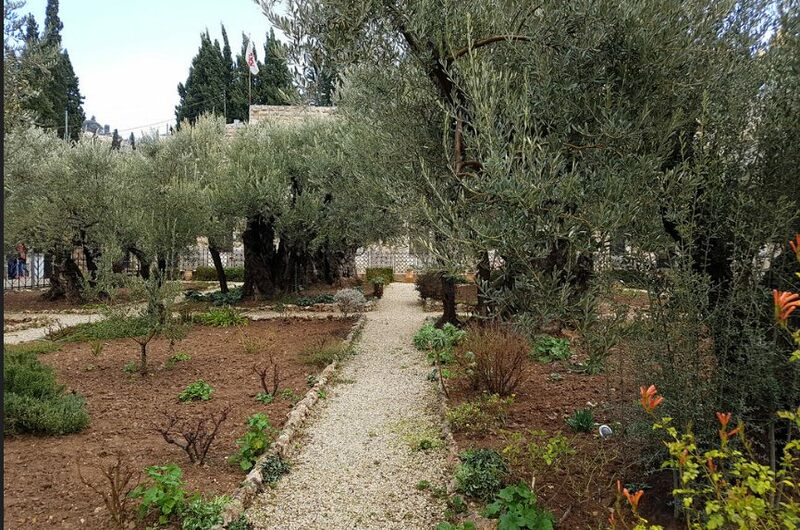 We will also enter the church and pray as we meditate on that night our Lord was betrayed in the Garden of Gethsemane. From here we will walk few hundred meters to visit the Church of Mary Magdalene, who was one of the most prominent female disciples of Jesus. This Russian Orthodox Church is quite remarkable in its beauty from inside and out. 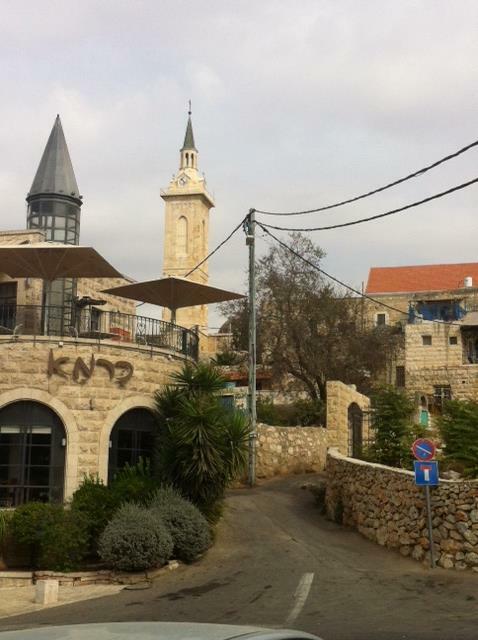 We will then board the tour bus and drive to Western Jerusalem, to the beautiful neighbourhood of Ein Karem, which shares both Christian and Jewish history. Here we will visit the home of Saint John the Baptist. 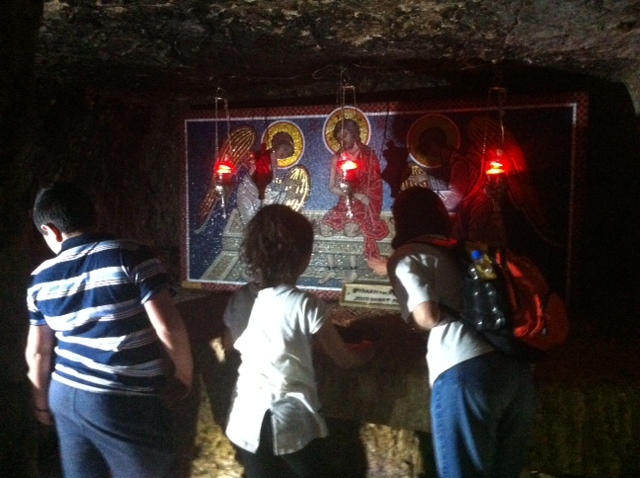 We will also visit the Greek Orthodox Church after whom John the Baptist was named. While we continue our trip we can enjoy the cafes and restaurants offering delicious deserts and coffee in this beautiful area. Our last stop before we finish our tour is the Church of the Visitation, the place our Lady met with her cousin Elisabeth. This concludes the itinerary for our Two Day Journey through the gates of Jerusalem. I hope you will enjoy it, and be filled with heavenly food after this faithful experience and forever more. God bless you all and I hope to see you on our next tour. For those of you who have visited the churches mentioned above, and would like to add your thoughts and suggestions for future visitors please leave your comments below.